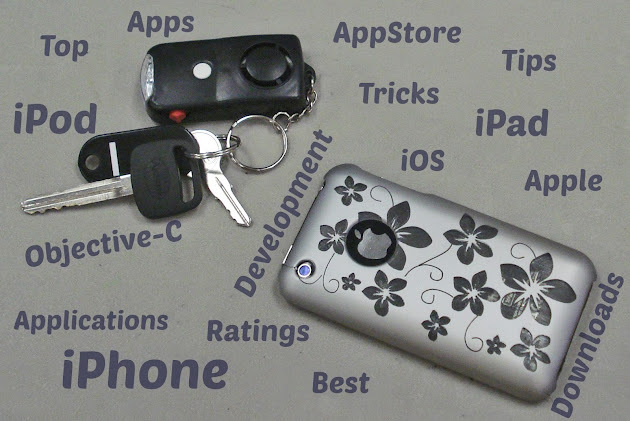 Creating an iPhone application can be a very fun and fulfilling experience. If you're lucky, it can also be a very profitable thing to do, but there are many different aspects to creating an application. The more you know about how it works and what great benefits there are, the better off you will be. To help you out, we are going to cover 8 things that you should know before you start to develop an iPhone application, but before we do, let's take a look at some other extra benefits you may not have know about developing for iOS. Did you know that the Apple app store makes more than double the revenue than Google does with their Android store? This means that if you are able to come up with a great application that sells, it will bring you much more money. iPhone applications are also much easier to test and have much more support for development, which can really help throughout the whole creation process. In general, developing a iOS application will require much less work because the applications only need to fit a few different devices, unlike Android which has so many different devices that it can be hard to create something that will fit them all. So with all of that in mind, let's take a look at those 8 tips. You will always be able to just use the iPhone simulator, but there have been plenty of reports that it isn't the same thing as actually having the phone in your hands. You may end up running into issues if you only use the simulator, then once your finished, upload the application to a phone. If you are serious about iPhone application development, just invest in one. This is a pretty large download, but it is well worth it. It comes with all types of goodies to help you create the best application you possibly can. You get access to instruments, framework, Xcode IDE, samples, and much more. You are going to need to learn this programming language in order to create a successful application. This language is the main language used by Apple and for the iOS and OS X operating systems. It may take a while to become an expert at the language, but the better you know it, the more effective your applications will be. So many programmers have an idea about an application and they just jump on their computers and start programming. While it may seem like that could go smoothly, it won't. You will need to make sure and have a full plan and understand how much time and effort it is going to take to have the entire project finished. You don't want to start, then realize it's too much to handle. Although the program does cost a little bit of money, it can be well worth it in the end. It allows you to distribute you application to a number devices from the iPhone Developer Portal. It makes things much easier. There are many quality tutorials about every aspect of creating an application, so make sure and take advantage of that. There is no shame in watching a video to make sure you are doing everything correct, every step of the way. If you plan on making multiple applications, then you should try and build reusable code so that the next time you decide you want to make an app, you won't need to start from scratch. There is even plenty of free reusable code already available if you want to try them out. You should definitely be trying to get accepted into the application store. If you're lucky, you may become rich off of your hard work. Even if you get declined, at least you tried and you will be able to start another application that is better. If you are willing to take all of these tips and implement them, you will see some pretty amazing results from your development projects and could end up making your future work much easier as well. They are all meant to help you in the long run, so don't be afraid to try them out. If you prefer doing your development process in a different way, then no problem, these are just optional tips, but if you are new to developing applications to the iPhone, you should strongly consider using them. This is a guest post by Ness on behalf of make-a-web-site.com – a site of bloggers and web developers alike. Find out how you can have your own blog, visit their website for more details.